" In the coming months, we’re going to retire two products that didn’t catch on the way we would have hoped, but did serve as influential models: Google Health (retiring January 1, 2012; data available for download through January 1, 2013) and Google PowerMeter (retiring September 16, 2011). 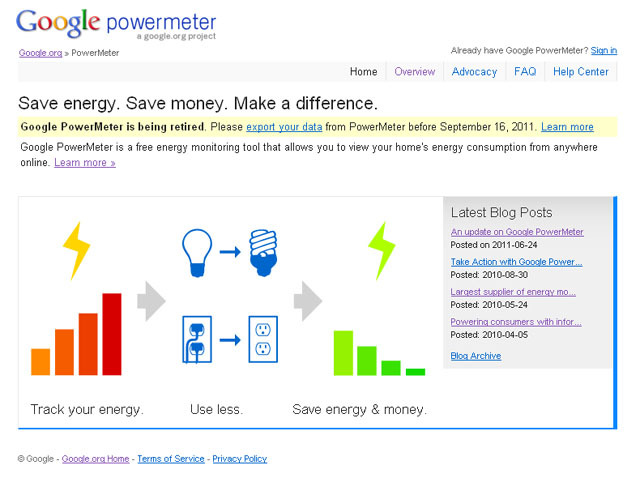 ・Google PowerMeter - Save energy. Save money. Make a difference.